HootSuite’s social media dashboard is now available in Brazilian Portuguese across its web and mobile versions, the Canadian startup announced today. HootSuite already has clients in Brazil, including several Brazilian media outlets such as MTV Brazil and daily newspapers O Globo and O Estado de São Paulo. Yet, today’s announcement is likely to boost its adoption its the country. Along with the translation, HootSuite launched initiatives geared at the Brazilian market. Besides opening a Twitter account, @HootSuite_BR, it will also host user-organized ‘HootUp’ events. The first one of them will actually take place later today in São Paulo. On a lighter note, it also shared special designs of its mascot Owly, with cliché-heavy references to soccer and Carnival. As part of its push in Brazil, HootSuite also announced imminent plans for app integration with Google’s first social network Orkut. According to the company, the free app will be released in the coming weeks and allow users to update Orkut alongside Facebook, Twitter, LinkedIn and other integrated social networks. 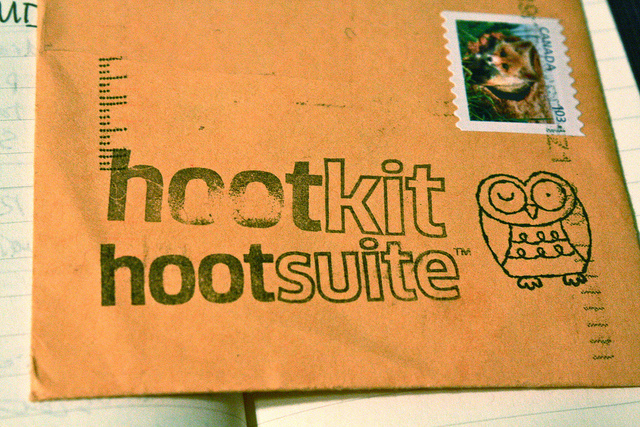 HootSuite seems particularly happy about this project. It has already created a new community on Orkut, and its press release reminds us that according to comScore, the platform has 34m users in Brazil. Yet, boasting about this move would have made much more sense a few months ago, before stories about Orkut’s reportedly steep popularity dive started to emerge. As a matter of fact, sources close to Brazil-focused startup Vostu point out that Orkut’s declining use in the country could be the reason behind recent massive layoffs at the social gaming company across Latin America. While comScore’s figures don’t show such a decline, they make it clear that Facebook has been gaining ground and is now the leading social network in Brazil. This isn’t only about Facebook, but also about Google itself. While Orkut is now managed by its Brazilian subsidiary, it remains to be seen how it will fit into Google’s strategy now that Google+ is targeting a similar segment. Although HootSuite could have chosen a better moment to rejoice about its Orkut’s integration, we are not disputing the relevance of its Brazilian expansion. While HootSuite already reaches 3.3 million customers worldwide and is available in 12 languages, Brazil could prove to be a particularly good fit for its product. Not only is social networking very popular in the country, but several networks other than Facebook and Orkut have also reached significant levels of adoption. As we reported, Brazil is the second largest country in terms of Twitter accounts, while Tumblr is about to get a Portuguese version to gain further ground in the country. This means consumers and brands are using more than one channel at a time, which means a management tool such as HootSuite’s dashboard is very relevant. Combined with the increasing penetration of Internet, it seems the Vancouver-based startup may well have found an interesting source of growth.